Fashion is creativity. Learn how to design a fashion collection, develop a complete look and carry out a campaign, using a language which is fundamental to your professional future, English. 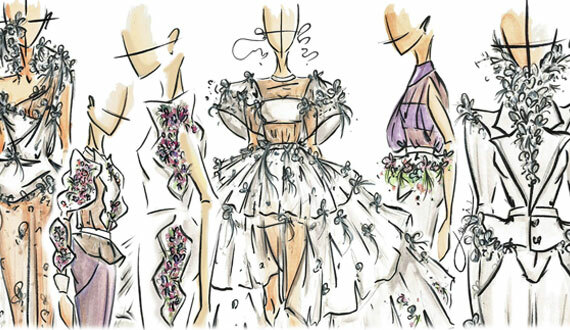 Fashion Design is a practical course, in which students carry out and photograph their own designs, as well as produce a fashion design portfolio. • Learn about the work methodology of a fashion designer. • Create and communicate a fashion collection with the help of a bilingual teaching team. • Work with specific machinery and materials: dressmaker’s dummies, semi-industrial sewing machines, darners, irons, photography set and Mac computers. The Summer Junior Courses are courses in design, fashion and visual communication, thought out specifically for young people between the ages of 14 and 18. The aim is to start students off in the world of design, develop their creative skills and give them the basic tools to facilitate their access to these disciplines. Students will learn while they have a good time in the best creative context. They will enjoy a unique experience and get the most out of their holidays. In this sense, Madrid offers all that a student could want. Cosmopolitan, welcoming, entertaining, traditional and avant garde, open and dynamic, it is also the capital of design and innovation, with an intense cultural life and a youthful, restless and optimistic spirit.